He stole her heart! Nev Schulman and guest cohost Kamie Crawford helped Rachael from Iowa connect with her online beau of eleven years, Vance, on the Wednesday, December 5, episode of Catfish. As the second in a series of guest co-hosts for the new season, the former Miss Teen USA was eager to help Nev get to the bottom of Rachael’s case. 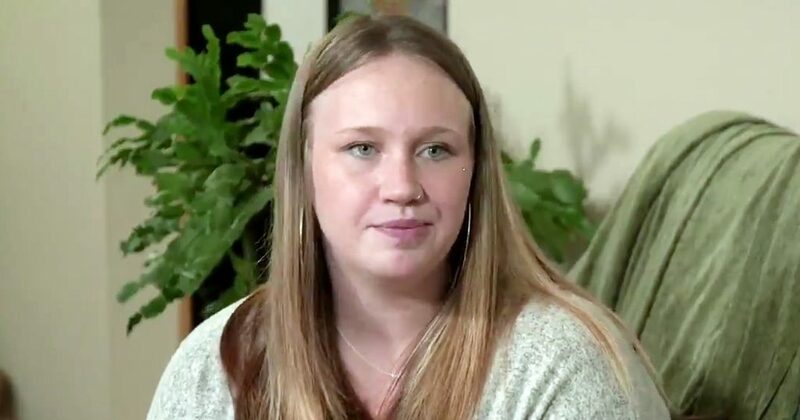 Kamie was immediately discouraged by Rachael’s situation when discovering that from ages 12 to 23, Rachael had never once video chatted with, nor received photos from, Vance, who she met initially on Myspace. Rachael then revealed she was a mother of three children and had recently given birth to her youngest only five weeks ago. With that, Nev and Kamie flew to Iowa, with diapers in tow, to help the young mother discover the truth behind Vance’s suspicious behavior. While Nev and Kamie entered the research phase of their investigation, Nev found that Vance’s Facebook profile appeared legitimate. But, in a shocking twist, Kamie stumbled upon Vance’s startling arrest record. Kamie then guessed that the reason for Vance’s erratic texting behavior could be blamed on the fact that he might be incarcerated. Kamie added that in jail, “you can talk on Facebook.” Most of their hunches were confirmed when they searched for his mugshot photo which clearly matched with pictures from his Facebook. Determined to see Vance and confront him over the lies about his arrest record, Rachael gave Nev the go ahead to arrange an in-person meeting. While on the phone with Nev, Vance said he could not meet Rachael because he couldn’t “afford it.” After Nev explained that the show would fund his travel, Vance stated, “I don’t have an ID or whatnot. … Would you be able to wire the money to my friend in his name and I could go with him to pick up the money? Then I could get the ID and do what I have to do to make it happen?” Nev, who called the plan “shady,” eventually worked with a producer to wire the money to Vance. Upon Vance’s arrival, it was clear that he was, in fact, the attractive man in his profile photos. When tasked with explaining his criminal record, Vance said it’s “just what is is” and that it only happened once” after getting a speeding ticket. He denied ever spending time in a correctional facility and admitted to struggling, working cash jobs as he attempted to make ends meet. His explanation for never having a video call with Rachael boiled down to being unable to purchase a camera phone without an ID. Rachel and Vance embraced and spent the rest of the day enjoying a romantic restaurant date, catching up on their 11-year online romance. Vance said he loved Rachael and even agreed to planning a future with her – one that involved building a home and having children together. While things between Vance and Rachael appeared to be heating up, the three-month check-in with Rachael revealed a sharp pivot. “Right after we saw each other, he had asked me to send him money and I was like, ‘No,’” she explained. “I don’t want to have to take care of another person. I had to just snap out of it.” MTV was unable to track down Vance for a check-in, so we’ll have to take Rachael’s word for it!